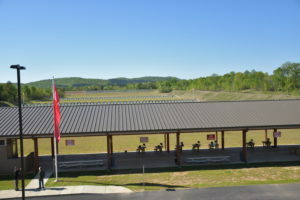 Both experienced and beginning pistol shooters can find a variety of opportunities to shoot in local, regional and national competitions. 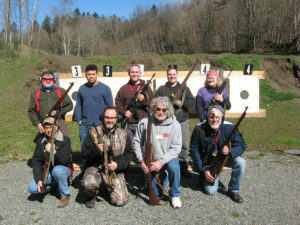 Many local clubs have regular weekly or monthly matches, while the CMP offers matches and learning opportunities throughout the year. 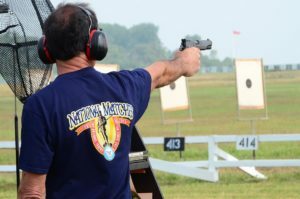 If you’re seeking a pistol competition and you’re not currently a member of a CMP-affiliated club, you can find a local club by browsing the club affiliation link. 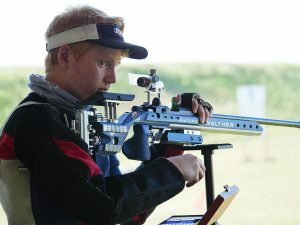 CMP RELEASES 2019 COMPETITION RULES - Click here for 2019 rule changes/updates. 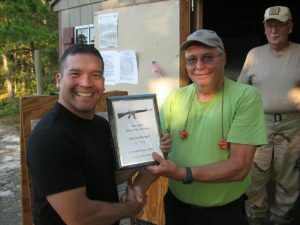 If you’re new to service pistol and have an interest in competitive shooting, a great place to start is the Pistol Small Arms Firing School (SAFS), sponsored by CMP and the U.S. Army Marksmanship Unit. 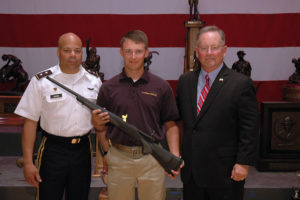 The school is conducted at Camp Perry each summer and led by some of the top marksmen in the country. 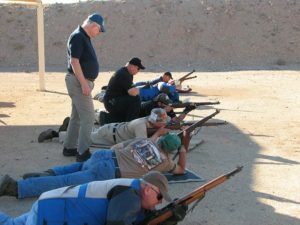 Participants can learn about pistol components, safety and even have the opportunity to fire in a true EIC match! 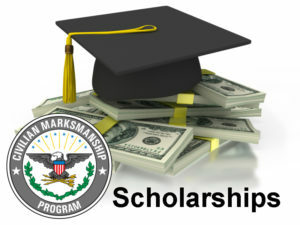 Click on this link to learn more. 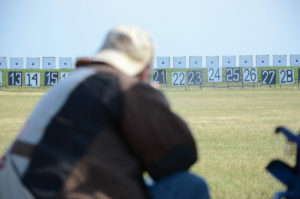 Excellence In Competition (EIC) matches enable shooters to earn points towards being awarded the coveted Distinguished Pistol Badge or Distinguished CMP .22 Rimfire Pistol Badge. 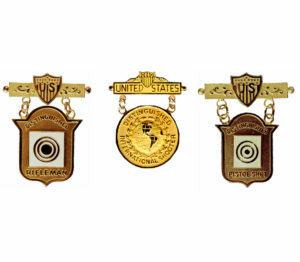 The prestigious Distinguished Badge program began more than 120 years ago when the U.S. Army awarded the first badge. 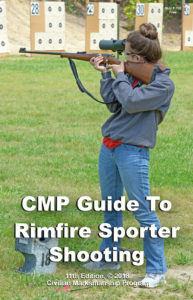 In 1891, the program expanded to offer a Distinguished Rifleman Badge and a new Distinguished Pistol Shot Badge and in 2015, the CMP added the Distinguished CMP .22 Rimfire Pistol Badge. 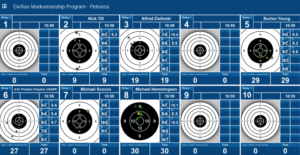 A list of upcoming EIC pistol matches can be found on Competition Tracker (EIC) service pistol matches. In each EIC match, the Top 10% of eligible non-distinguished shooters are awarded EIC (“leg”) points. Points are awarded on the basis of 6, 8 or 10 points per competition, depending upon the individual’s placement among the non-distinguished competitors in a match and the number of eligible non-distinguished competitors in the match. 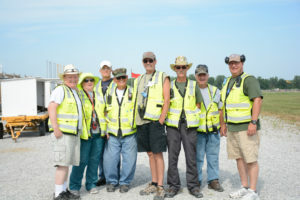 To be eligible for EIC credit points, a match must have at least 6 non-distinguished competitors and conform to the current edition of CMP Competitions Rules and Regulations. 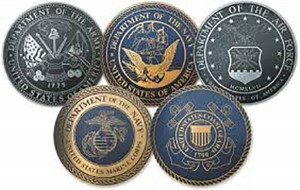 When a civilian competitor earns his or her first EIC “leg” points, whether it is 6, 8 or 10 points, they will be awarded a bronze EIC badge. Twenty points earns a silver badge, while 30 credit points grants a civilian his or her Distinguished Badge. At least one of the “legs” must be an 8 or 10 point leg. 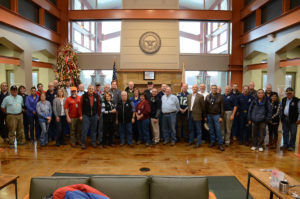 The CMP is proud to recognize all the shooters who have “gone Distinguished,” from the program’s inception in 1884 until today. 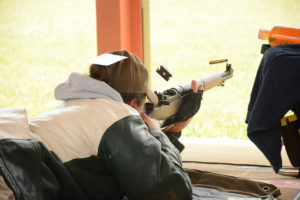 For a list of shooters who have earned their Distinguished Badge, visit the Distinguished List on Competition Tracker. 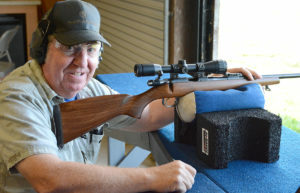 Whether you’re a civilian or military shooter, the opportunity to reach the championship level is available to all shooters. 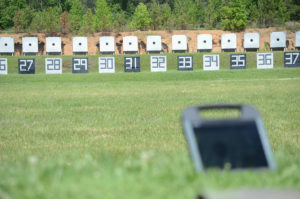 After results from sanctioned EIC Pistol matches are received at CMP, scores are inputted into our Competitions Tracker system. 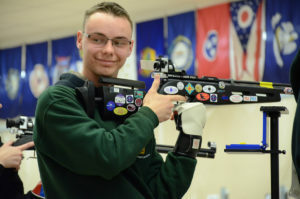 This gives us the ability to post the top 100 EIC Pistol Match scores. 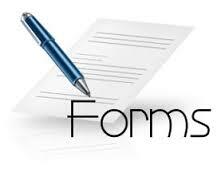 Since 2011, the CMP has sanctioned non-EIC matches and State Championships. 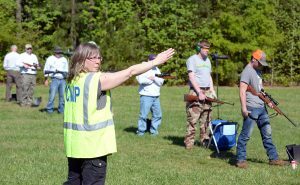 CMP affiliated clubs are encouraged to download the Instructions to Conduct a CMP Sanctioned Service Rifle & Service Pistol State Championship and Application for State Championship Service Rifle or Service Pistol (which needs to have approval from the State Association Club).